Many thanks for sending "Gretal" to Ava's party on Saturday. The kids really enjoyed it and she was great with them. Thank you so much for coming through on Saturday. Riley, the other children and the parents thoroughly enjoyed the show. Both children and parents could not stop talking about it afterwards, with some of the older children trying to figure out how you did the tricks. You held the children's attention the entire time and I think many of them wanted the show to go on. Riley felt extra special and loved being involved in the tricks. I can say, hands down, your show has been the best magician show I have seen at a party and I will highly recommend you. I just wanted to take a moment to thank you for making Lunghas 5th year birthday party such a success. The kids and adults had awesome time. Lungha is still talking about you and the event. The highlight is when she thinks she is a magician, you really kept her and the kids busy. She feels rich with the gift she made from magic. We have lots of pictures, really amusing and priceless moments. We will definitely see you again. The brother JJ loved you that he wants you when he turns 8 years old. Do you do for this age group? Just wanted to thank you for the magic show. The kids really loved it. Even the teachers were impressed with the way the kids responded to Stevie. All best for the year ahead. Thank-you to Stevie for an absolutely wonderful time. The kids had an absolute ball. It's been a long time since I've seen my son laugh so much. The show really made the party special. There wasn't a dull moment. Thanks for a great afternoon. The kids were thoroughly entertained and the birthday girls were made to feel so special and they just loved it! The adults and children were equally entertained!!! You have certainly made this a memorable one for all of us. For me as the organiser is was such a pleasure dealing with you as my emails were always answered and I felt taken care off. From our correspondence there was no doubt in my my that you had it covered. A heartfelt thank you for making this one of the most memorable birthdays ever. 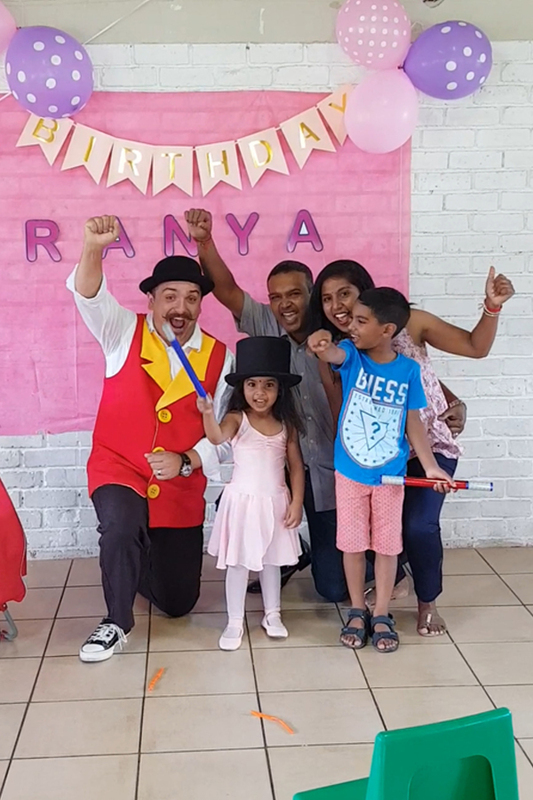 Thank you very much for the most wonderful entertainment at Ava's 5th birthday, the laughter from all the kids was endless and they all had the most amazing time!! I would highly recommend you to anyone!!! Thank you for a great service on Saturday. Stevie was incredible and had all the kids eating out of his hand – "sit, stand, hands up, hands down, be quiet, make a noise..." at one point I thought he must be a hypnotist and not a magician the way he had absolute control over that (large) group of children. They all had a blast and I cannot recommend him enough! I just wanted to say the Ellie was AMAZING. We all loved her and nobody more than our children. Thank you so much for extending the special to Ellie, we look forward to seeing what other entertainment you can provide in the new year. It has been a great pleasure working with Sergio. He is professional, good natured, accommodating and an absolute hit with the children. After 5 weeks I think the stallholders will miss him even more than the children!! It has been our pleasure to work with you and Sergio and thank you for your services. Stevie was absolutely brilliant and the children were completely entertained for the full time that he was busy with his show. Daisy also loved every minute of it and Stevie made her feel so special by calling her up to be a part of his show. I will be sure to forward your information on to any friends who ask for it. The magician and face painter was an absolute hit with everyone at the party. Byron could not stop talking about how funny the man was and even made me promise that he will be at his next party. Thank you Stefan for making our little boy's party truly the best party ever! WOW! Thank you so much for such great service. You guys really did make my little ones party memorable. Thank you so much for making Tammy's birthday party such a huge hit... Sit back and let The WOW Factory do all the entertaining! Simply the best in Johannesburg! Thank you so much! My baby girl and her friends (me too!) had an awesome time with Stevie! He was very funny, captivating and the very best part of the party. I will definitely recommend him. One of my friends' daughter already wants him for her birthday. We love how professional you all were at our event. 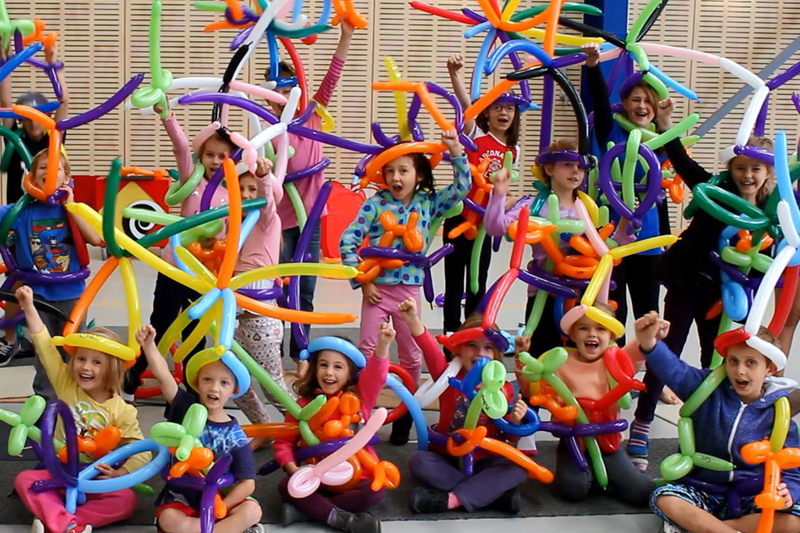 The children loved the balloons and you were certainly a highlight of the evening. We all thank you for the fun time you gave us and would recommend you to all our clients! Oh my goodness! I have never heard of a balloon party before, but all I can say is that it was awesome! Both kids and the adults LOVED it! All the moms wanted your info. This was the best after school activity we have ever had come to our school. Thank you. Thank you for an amazing show on Saturday, Ellie had the kids mesmerized and entertained the whole time he was there, what a fantastic show, even the parents commented on how much they enjoyed it. I highly recommend "Ellie the Whimsical Elf" to anyone! 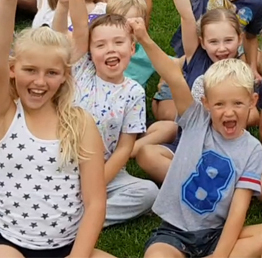 I just wanted to THANK YOU ALL for what you did for the children last Sunday they had an absolute ball- the smiles on there faces were invaluable! The magician was incredible!!! Looking forward to seeing you at the next bash! As a mother of five children, we have had so many birthday parties with face painters. NONE of them are anywhere near as talented, friendly and great with kids as the face painters we book from you! Thank you for making it so easy to book and for making my children's birthday parties so memorable! I highly recommend anyone that wants to book birthday entertainment for their child's party to use The WOW Factory. You guys are simply the best face painters we have ever used! Looking forward to having you perform at all of our events going forward. Tiffany made sure that my little one's princess party was a dream come true. Thanks! I just quickly want to thank you all for the amazing performers we had at our community fun day. 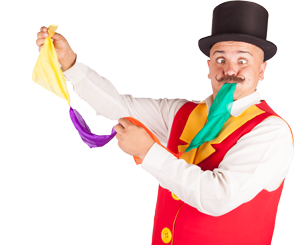 When we what they enjoyed most that day, the magician and stilt walker came highly praised! My biggest thanks to you for making our festival that much more enjoyable. You were great! Bravo! Bravo! Bravo! See you next year! Thank you for keeping the kiddies entertained this holiday. We are booking again for next holidays! The whole park had so much fun with Stevie! 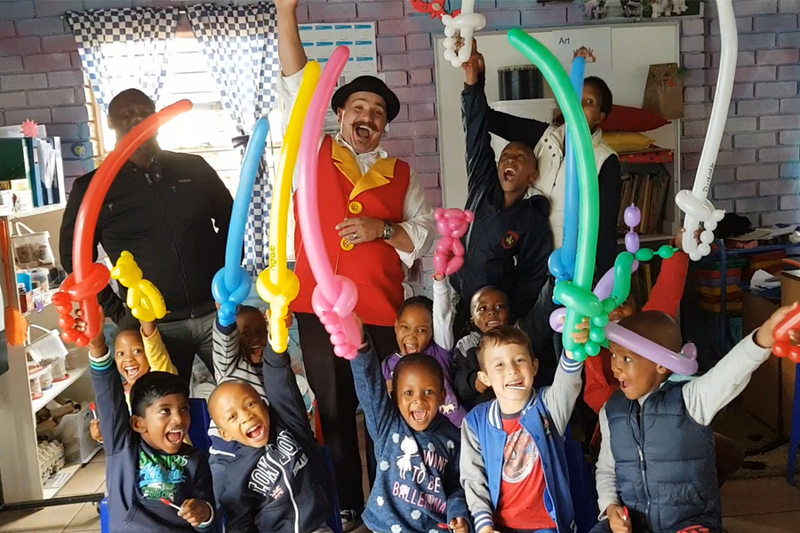 The Balloon Workshops and magic shows were a absolute hit with all the kids and parents too! Highly recommended!!! The kids always come back every holiday to see you guys do your thing! You are awesome! The WOW Factory is the only option in entertainment for any event! Stevie was absolutely amazing at Oli's 5th birthday party - the kids where in hysterics! Best magician I've ever seen at a party. He made the show so special for the birthday boy, which he'll never forget. Thank you so much!